ADHD medications are some of the most common drugs given to children and adolescents. Most clinicians prescribe them within approved FDA indications. Moreover, the existence of an FDA approval often provides some comfort to the prescribing clinician that the medication has received rigorous testing for efficacy and safety. But has it? A recent study in PLOS One attempted to summarize how extensively ADHD medications were studied prior to the FDA approval with particular attention to the ability to detect rare side effects or safety over the long-term. Guidelines for the optimal testing of medications used for chronic conditions do exist from an organization called the International Conference on Harmonization of Technical Requirements for Registration of Pharmaceuticals for Human Use (ICH). The authors gathered data on all clinical trials performed on ADHD medications that have been approved by the FDA. Much of the information came from what are called FDA Drug Approval Packages that contain a large amount of data related to the approval process of a new drug. Key variables of interest for this study included the number of participants in the trials and the length of the studies. A total of 32 trials were found that evaluated 20 different medications. 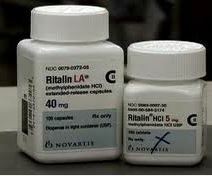 Of interest, the oldest ADHD drug, Ritalin, was approved in 1955 based on clinical experience rather than a clinical trial. A total of seven drugs, including Adderall, were approved without a clinical trial of ADHD subjects. Only eight of the trials were published in the medical literature. The median number of participants per drug was 75 while the median length of a clinical trial was 4 weeks (the ICH recommends at least 300 patients studied for at least six months). For six medications, approval was contingent on collecting data post approval, although this occurred in only two cases. The authors concluded that the amount of data collected in the process of obtaining FDA approval is inadequate to evaluate both for rare side effects or long-term safety. These trials fall well short of ICH recommendations, although the authors acknowledge that for many of these medications there now exists much more data from various sources. In reading this study as a psychiatrist, I had two main take-away impressions. The first was some surprise at how small and short many of the trials were. While certainly one might expect similar efficacy and safety profiles for compounds that are so similar chemically, its probably safe to say that most clinicians assume a little more has been done to obtain FDA approval. The second impression (and this was the nagging question that kept coming into my mind as a read the article) was whether these holes in premarketing research were specific to ADHD medications versus being present for other classes of drugs. It was quite amazing to me how the authors barely addressed this obvious and important question, and its absence made the article seem more politically than scientifically motivated. Are asthma drugs any different? Probably not, and not acknowledging this adequately just fuels a fire against psychiatric medications that everyone knows is easily ignited. This entry was posted on Wednesday, August 27th, 2014 at 10:39 pm and is filed under ADHD, Medications. You can follow any responses to this entry through the RSS 2.0 feed. You can leave a response, or trackback from your own site.